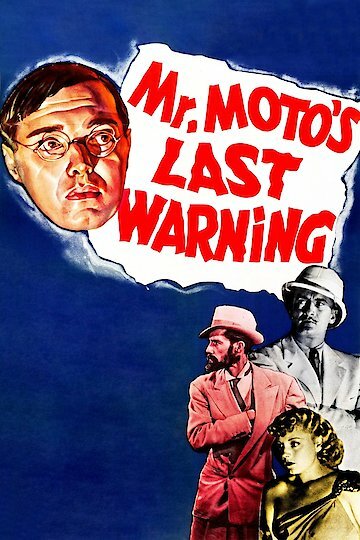 "Mr. Moto's Last Warning" (1939) is an American movie that is the sixth in a series about the title character. Mr. Moto was a Japanese secret agent created by John P. Marquand who wrote six novels about him. "Last Warning" is an original story that uses the character. The film series portrays Mr. Moto as enforcing international law. "Last Warning" is set in England and it pits Mr. Moto against a criminal gang planning to sabotage French ships that are performing maneuvers with the British Navy. Mr. Moto's Last Warning is currently available to watch free on Tubi TV and stream, download, buy on demand at Amazon Prime, FlixFling, EPIX, FlixFling VOD, Amazon online.